Learning new strategies for improving work-life balance is a smart, practical way to get ahead. How can you boost mood and productivity for more success? 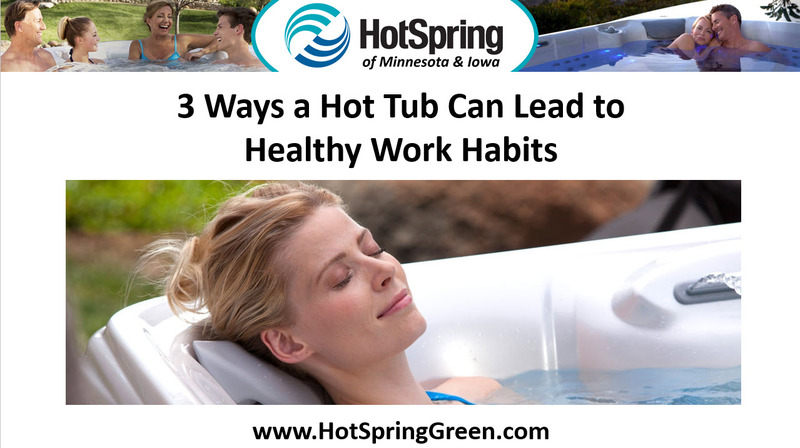 Here are three ways soaking in a hot tub can lead to healthy work habits. Better Rest, Better Performance – With a hot tub at home, the fatigue that drives your day can come to an end. Hot water relaxes muscles on contact, but also prepares the mind for a deep restorative sleep—the healthy rest you need to carry you though a highly productive day. Master Stress Management – With regular use, a spa can teach the body to prioritize relaxation for stress management—even at work. A dip in the hot tub in the evenings prepares the body and mind for obstacles ahead, while prioritizing healthy relaxation and a low stress approach to every day. Enhance Your Mood – Twenty-minutes in a hot tub and something magical happens. Massage relaxes stiff muscles and buoyancy cushions joints. And the body responds by releasing endorphins—natural feel good hormones. Make a dip in the hot tub part of a healthy lifestyle choice and enhance your mood naturally for success.